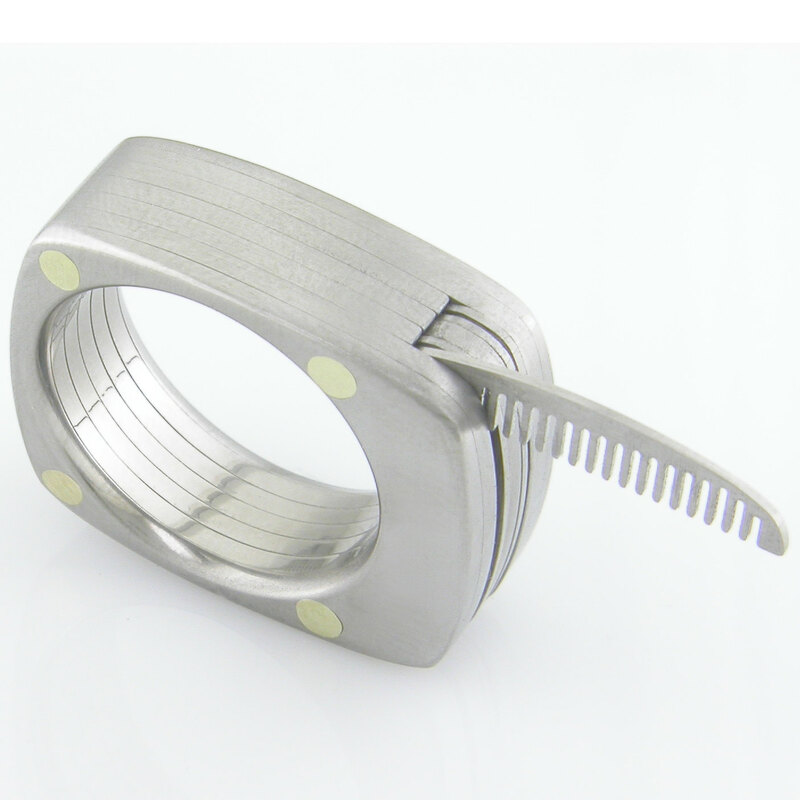 This is one of the most unique rings ever produced. 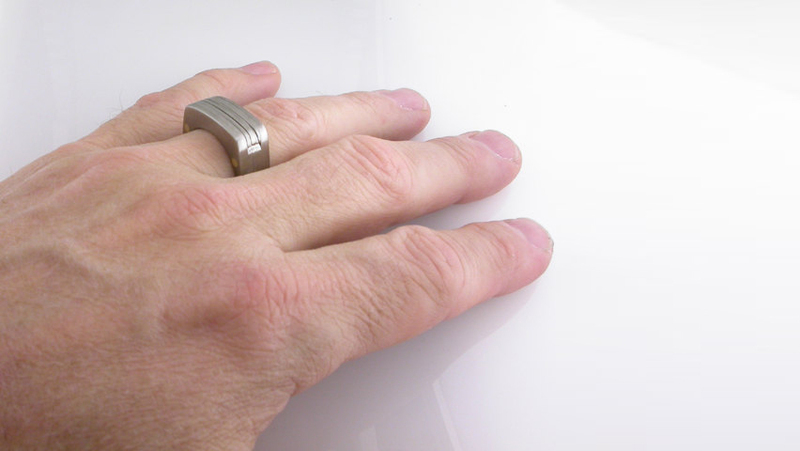 Crafted from aerospace grade titanium, it is a comfortable and smart looking ring. Hidden inside is an assortment of useful tools. 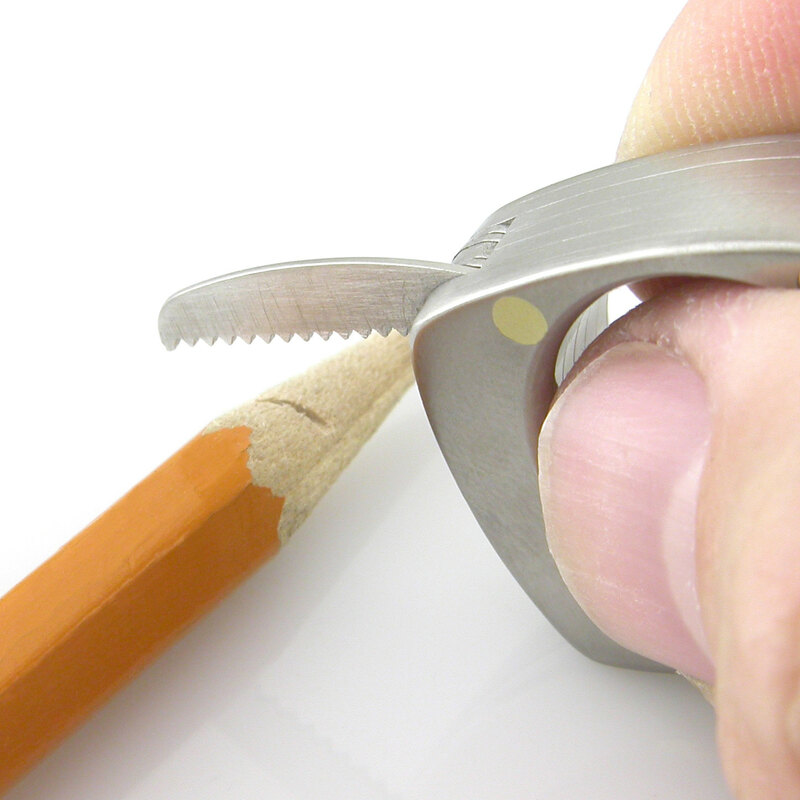 It has a working bottle opener, a straight blade perfect for cutting packing tape or fishing line, a serrated blade for tougher things like nylon strapping or those tough to open electronics heat sealed packages, a saw for cutting plastic and wood, and it has a comb! Although the comb is tiny, it actually does a surprisingly good job on the ‘stache or head! 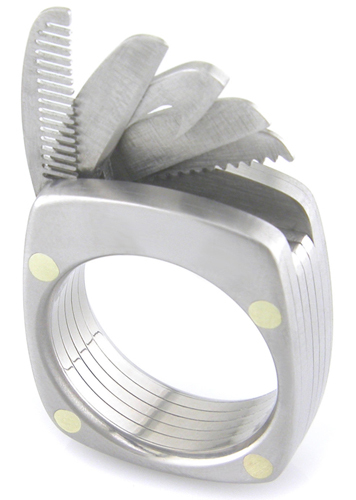 You would be amazed at just how handy this ring is.The ring is custom made, one at a time, in exactly your ring size. We make them in quarter size increments for an exact fit, normally within a thousandth of an inch. The width remains at 9mm. The Brushed finish seems to work best, so I left off those options. 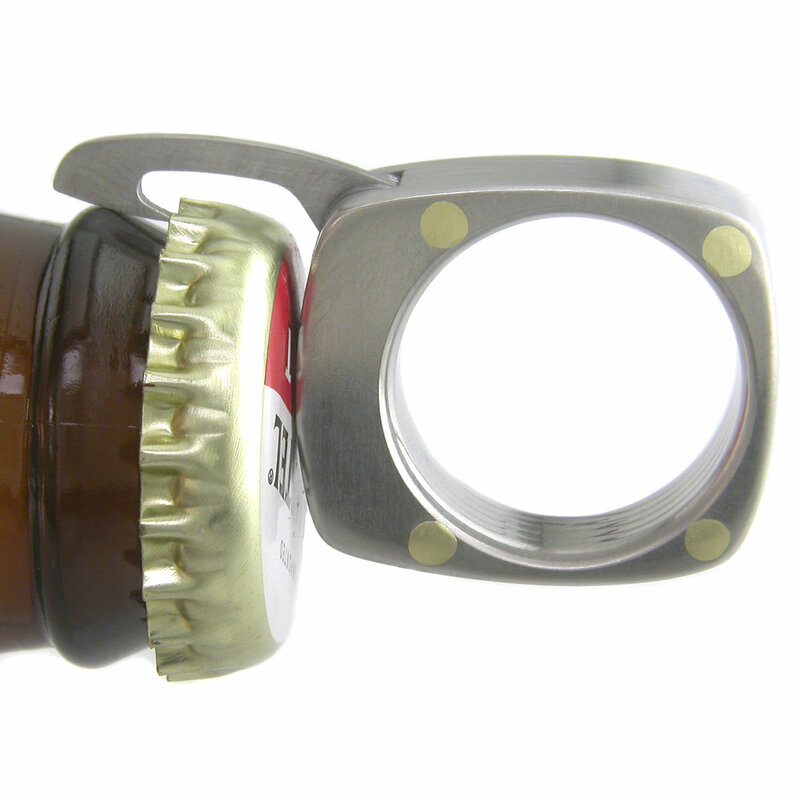 The inside of the ring gets a polished finish for comfort. Although the ring can be engraved, the internal lines will affect the letters a bit. I recommend the Roman font if you will be engraving inside. There are brass rivets that hold the plates together, and they add a touch of class. This utility ring is not to be confused with a mass produced stamped out toy. It is a finely engineered and crafted piece of functional art that takes many hours to make, and one that anyone would be proud to wear. It takes extreme precision and extreme equipment to make this work. Hi there, i believe that i personally saw people visited this site and so i came to gain this select? . Now i’m attempting to find things to improve this site! Perhaps it has the satisfactory to work with many of your current principles!